I think that must be my favourite of all the collects. We used to sing it at the end of evensong every week in the college chapel; somehow it seemed very fitting when you were only lit by candles and tiny little choir lamps, and now, with all the colour and cheer of Christmas taken down and packed away for another year it seems fitting again. That’s not to say that my lounge doesn’t now look immeasurably larger, which, as it isn’t huge in the first place, can only be a good thing, and with all of Kitty’s toys around and H and my predilection for strong colours in quilts and knitting and painting it isn’t exactly bland around here. I think I just miss the twinkly fairy lights chasing away the dreary outside weather we’ve had recently (no snow, just rain, rain and more rain). 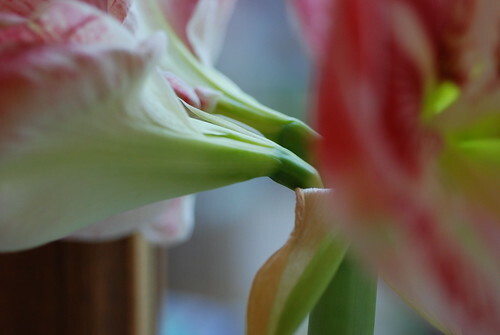 the first of my amaryllis for this year trumpeted its arrival at the start of the week and is now in full bloom. 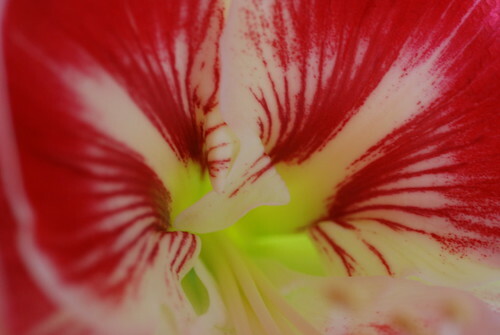 This year’s first is Prelude; scarlet with white edging and a gorgeous feathery centre. 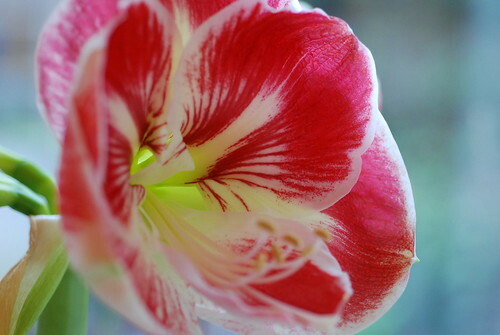 A blast of colour to chase away the winter gloom. 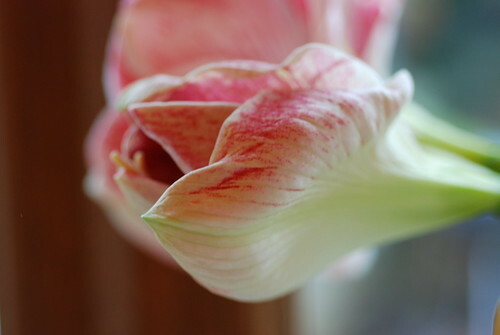 Every year I see your amaryllis and love them, they are very beautiful (nice photo’s btw) and every year I say I must buy some amaryllis bulbs because they are so pretty and every year I forget!